The GSD 21 analog sounder adds detailed sonar data to your compatible Garmin chartplotter. This black-box sounder connects directly to your chartplotter with a serial cable. To take advantage of Ultrascroll®, which provides lightning-fast refresh rates, connect the GSD 21 to your chartplotter with CANet, Garmin's 1 MB proprietary network. The high-dynamic range sounder provides exceptional performance in water as shallow as 1 ft (0.30 m) to depths as great as 1,500 ft (457.2 m). The GSD 21 can connect to dual-frequency transducer (50/200 kHz) for deep-water performance and 500 watts of transmit power, or a dual-beamwidth transducer (narrow/wide) for operation in shallow freshwater as well as deep water and a transmit power of 400 watts. Please note: This product does not include a transducer. 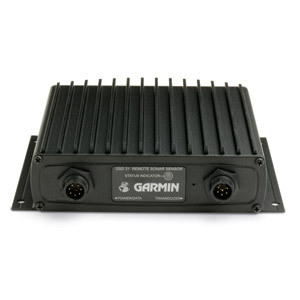 Garmin offers a complete selection of transducers that you can purchase separately as accessories.